This coaching manual contains ready-to-use sessions for working with individuals or small groups. The material is designed to enable the trainer or coach to help trainees reflect on their experiences, share success, learn from failure and practise new skills and techniques until they're ready to try them out for real. The coaching processes involved in the manual should help improve self-awareness and teach your people how to observe behaviour and give and receive effective feedback. 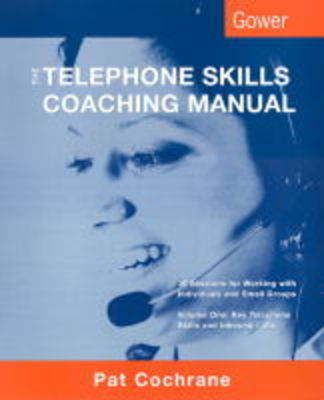 This first volume focuses on the fundamental telephone skills that we all need, along with the skills for handling inbound customer service and sales calls. A second volume covers outbound calls.